Unique to Rawley Plant the COMBI® welfare unit is a steel, anti-vandal portable cabin combined with a chemical toilet, full forearm hot wash sink and small storage space for tools and other equipment. The COMBI® welfare unit is most suitable for sites where a mains or generator power supply is available. 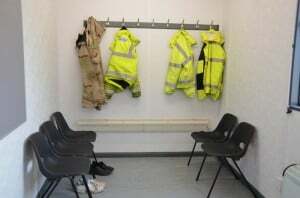 The COMBI® welfare unit can be supplied as a canteen space, site office space or drying room and provides you with secure site welfare facilities in jack-leg, static, purpose-built, anti-vandal unit. Requires a 240v mains power connection or generator power supply. Suitable for up to 8 persons. 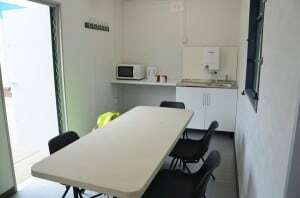 Weekly toilet servicing included in the hire rate. Call us for more details. Images shown are for example only. Layout is subject to change. Furniture supplied depending on your requirements and availability at time of hire. Cups models own. A compliancy kit, including microwave, kettle and first aid kit, is available for sale only. The unit is delivered by delivered using a lorry-mounted “HIAB” crane. We would require sufficient access for our vehicles to make delivery without obstructions. For more information about transportation please click here. Can I site it anywhere? Yes, although we do require reasonable, obstruction free access for our service vehicles to get within 3 meters or 15ft of the unit so that we can service the on board chemical toilet. Please also be aware that if the unit is sited on uneven ground or soft ground this can cause problems. How often is the on board chemical toilet serviced? We carry out a weekly service to the chemical toilet and will empty the waste tank, refill it with fresh water and chemical and replenish toilet paper. What Power Requirements Do I Need? We recommend a mains 240v power supply or 5kVA generator or larger. Power is required to operate the lights, heating and power points. Who is responsible for the unit if it breaks down? We offer a breakdown service during normal working hours. If you have a breakdown please contact us and we will arrange for a service engineer to visit your site. See our Breakdown Promise for more information. We do not offer 24 hr call out at present. 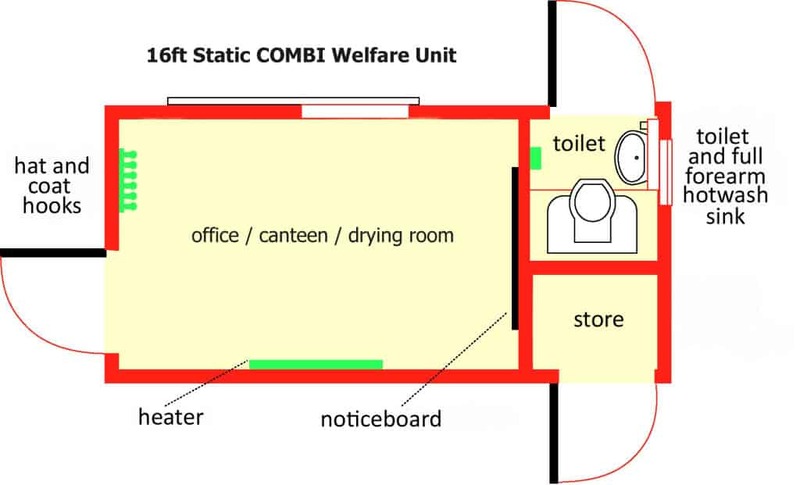 If you have any questions about our COMBI® Welfare Unit please contact us on 01268 722304 or email info@rawley.co.uk.